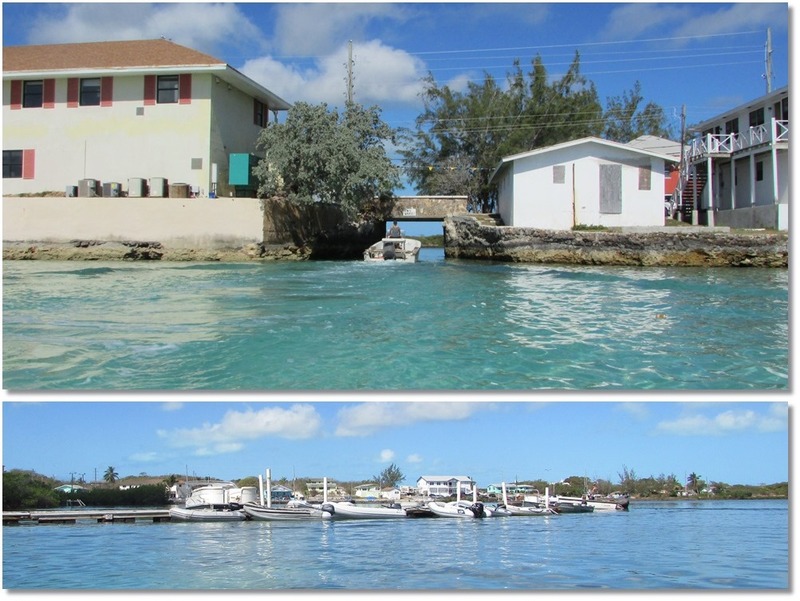 After everyone went home from the regatta, George Town fell quiet and became a sleepy little town once again. 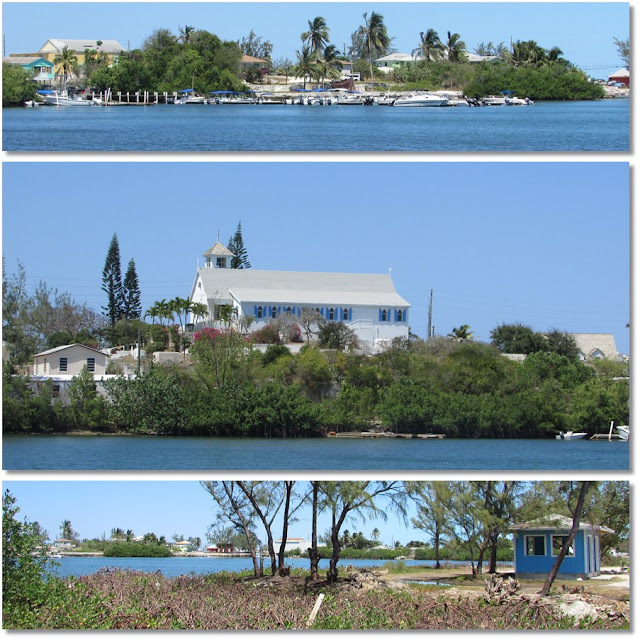 With a population of only 1400, it was still the second largest place we visited after Nassau. 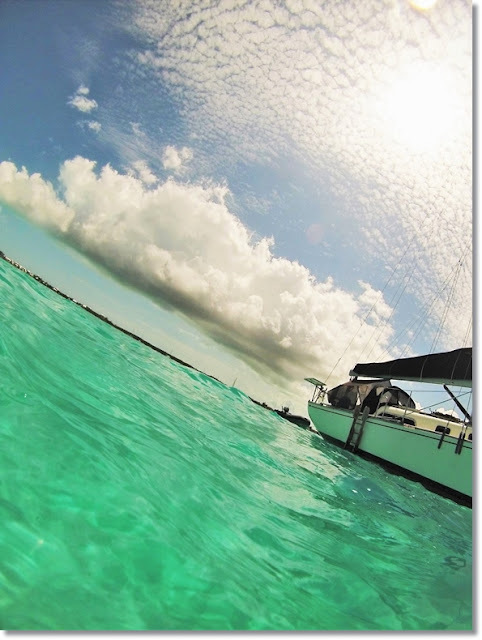 We had rushed through the Exumas to get to the regatta on time, barely stopping to dip our toes in the sand. When the regatta ended most of the boats in the anchorages dispersed and we were left nearly alone in a perfect clear harbor with a floor of white pillowy sand. We spent the next few weeks doing nothing but watch the ever-morphing shades of blue and green dance over the surface patterns of the water. The endless summer sun arrived mid-May and very quickly the cockpit became too hot to touch. We created a make-shift cockpit tent with garden shade fabric in an attempt to beat the heat. Landry day! It's best to do laundry on a day rain is predicted, that way the rain can do the rinsing, saving you a lot of wringing and trips to shore lugging back jerry cans of water. Watching the rain clouds roll in. Sun setting on an evening swim. After not moving for a couple weeks the boat bottom starts growing it's own eco-system. Luckily, there are no waters more pleasant to scrape the bottom in than these! Everything you need in George Town is accessible within walking distance from the dinghy dock, which is on a small lake you enter from the harbor. When you exit the dinghy dock there is an outdoor bar/restaurant immediately to your right,(and a place to throw away trash for $3 a bag on the other side of it). 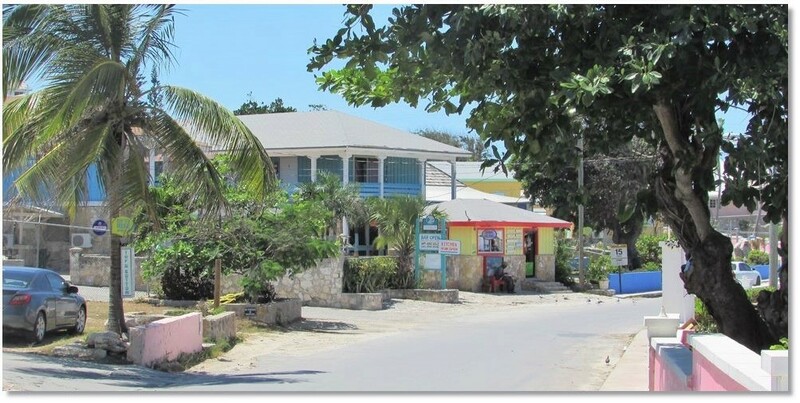 The yacht club restaurant is directly across the street and to the left is Exuma Market grocery store. Just down from the Grocery store there are a few shops and a couple hotels with outdoor restaurant/bars. All of the bar/restaurants had free Wifi. 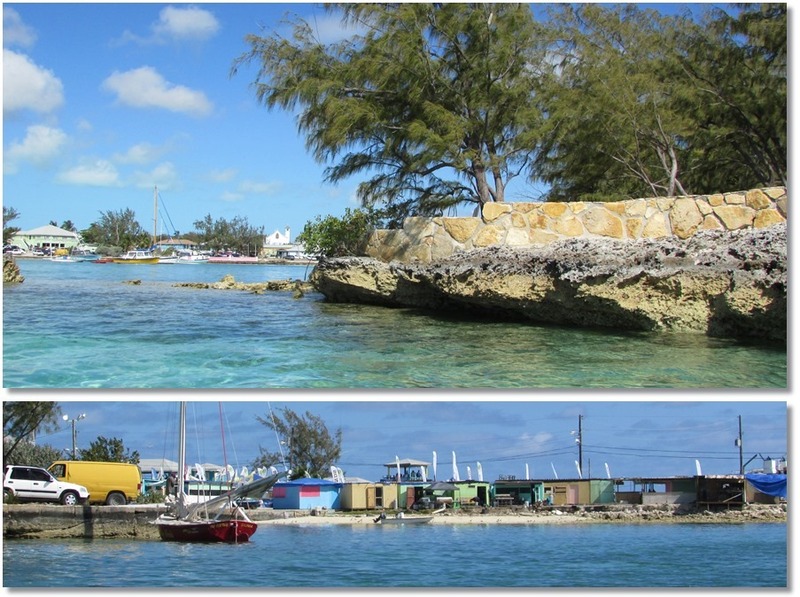 BTC 4G cell reception is also excellent across the island and harbor. 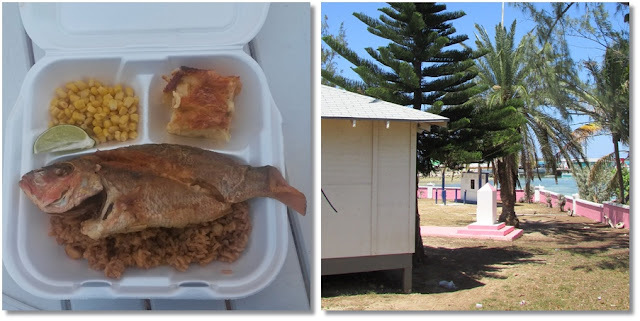 The food options were pretty consistent across the remote settlements of the Bahamas. There is always fried chicken and pork chops, usually fried fish and fried conch, and sometimes a burger. Sides are mac&cheese and peas&rice (peas are beans in the Bahamas). Fish was only available if someone had gone fishing that day. When fish is on the menu, don't shy away from whole pan fried snapper, it's amazing. It's easy for time to stop in George Town. It has everything you need and nothing you don't. 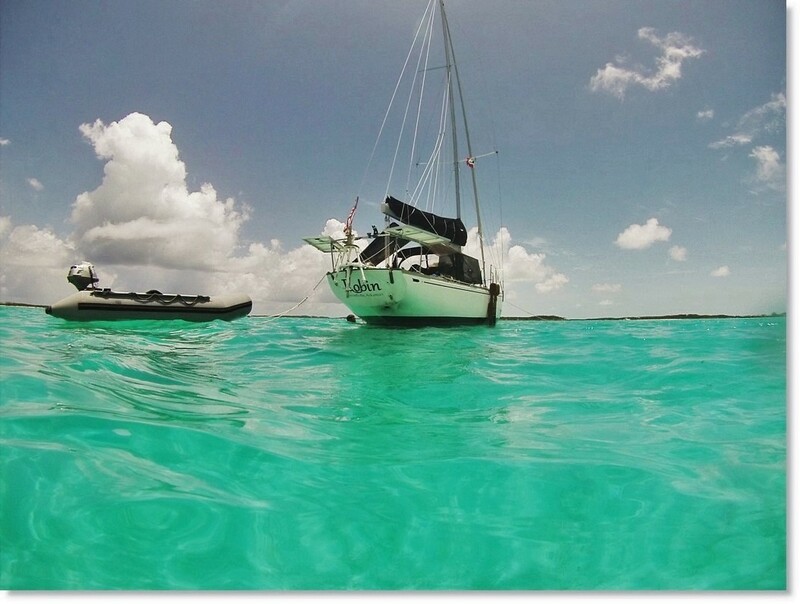 There are uninhabited islands with secluded beaches and snorkeling spots throughout miles of sparkling harbor. And in town you have groceries, hardware, beer, Wifi, and friendly locals who will give you a ride, or take you to their best fishing spots. Why would anyone want to leave?